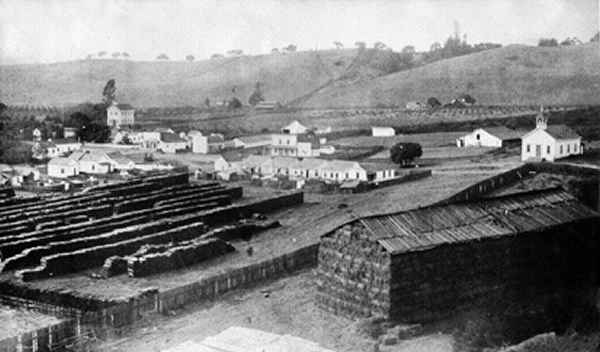 Near the center of the photo is the location of the present day Corralitos Market & Sausage Company. Nestled in the foothills of the Santa Cruz Mountains, the town of Corralitos, California has had a much-storied history of development, events and people. Judy Pybrum Malmin, a lifelong resident of Corralitos, has spent the past thirty years researching and writing about the history of Corralitos. The revised edition of her 1982 book, Corralitos, has 302 pages, additional text and over 200 photos and illustrations. Ranging from the redwoods to the ranchos, from agriculture to commerce, from natural disasters to community spirit and triumphs, this book is one of a kind. The book is currently available for purchase at the Corralitos Market. Also, you can email or call Judy to order. The books are $18 plus shipping. I am interested in eight millimeter (8 mm) home movies featuring Corralitos people, places and/or scenic views. I would pay for transfer to video for any movies I could use. If you know someone who cannot view this website, the material is available in a Corralitos History binder at the Corralitos Cultural Center Library on Hames Road.